SunTegra® Solar Tiles integrate seamlessly with standard flat concrete tile roofing systems, providing customers a durable roofing material and low-profile, high-performance solar system in one! 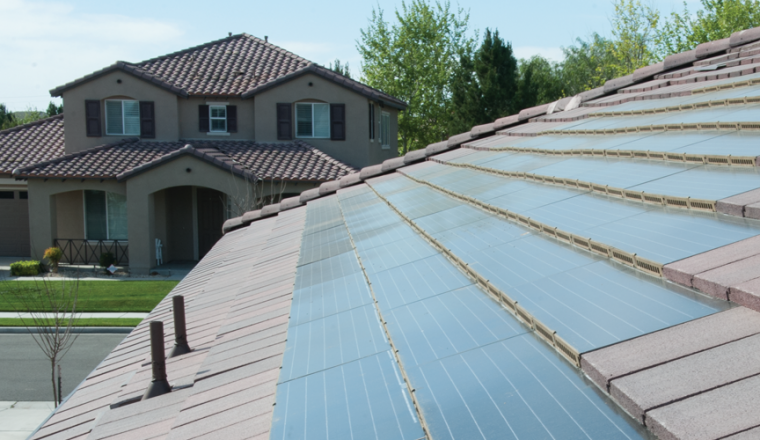 SunTegra Tiles offer homeowners, builders, and installers an innovative way to integrate solar directly into the sloped roof of a home, commercial building or carport. SunTegra Tile in-roof solar panels and accessories integrate directly with standard Tiles roofing systems, providing the perfect combination of aesthetics, performance, and value.